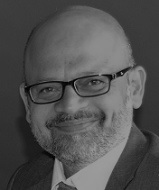 FAHD KHAN is Advisor to DAMSON Group for Customer Experience and CEO of MFK Consulting UAE. Fahd is life & business strategist, entrepreneur, speaker, author, philanthropist and user experience management consultant. Fahd's consulting services focus Purposeful Life & Business Strategy Design, Meaningful Life & Workplace, Compelling Vision Development, Organization Culture Development, Employee Mindset Development & Engagement and overall Experience Management Evolution. Fahd is helping clients to develop 'purpose oriented' business by transforming BRAND eXperience-bX, EMPLOYEE eXperience-eX, CUSTOMER eXperience-cX - together they become becXperience. Fahd has served in multinational companies for over 2 decades in various capacities in the industries including manufacturing, textile, construction, pharmaceutical, information technology, software development, consulting, business process outsourcing. His operational experience and exposure helps him customizing client centric solutions by understanding their reality and suggesting solutions accordingly. His expertise are strategy design, visioning, mindset development, employee behavior, culture, graphic designing, creative presentation, information communication and content development.